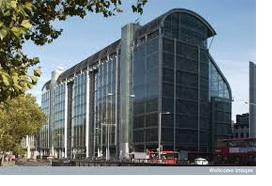 AllWater Technologies Ltd has recently been pleased to assist Optimum Group Services plc in provision of a new Reverse Osmosis System at the Wellcome Trust headquarters in London. 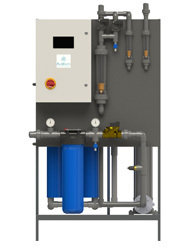 The RO Plant, designed and built in house at the company’s Somerset factory, produces 1200 litres per hour of high quality permeate water and provides a number of beneficial features as standard including a colour HMI (Human Machine Interface), CIP (Clean in Place) connectivity and permeate recycle. Carbon pre-treatment was also provided by AWT with an existing water softener being incorporated within the new design for a cost effective solution. AWT now looks forward to continuing to work alongside the client and end user having secured a three year service & maintenance agreement on the equipment. For further information about our wide range of products and services please contact us.